Friends, I’ve been in a bit of a seasonal funk lately, probably because my beloved summer is ending in a very short three weeks when it’s (da da dum) back to the classroom. However, the hot weather will continue for at least another two months, so I’m going to stay in the summer frame of mind as long as possible. Transport me to a glossy magazine pictorial come to life. I want to leave this land-locked state and head straight to a beautifully detailed island or big city setting. Capture my imagination with interesting and memorable characters whose lives are somewhat relatable but more glamorous/scandalous/adventurous or simply different in some intriguing way. Inspire me to either visit another place, write my own novels, expand my interests, or live for just a little bit in another world. Completely absorb me into a well-constructed world filled with characters I feel like I could know. With that criteria, you can’t go wrong with any of these authors while soaking up some sun at the pool, hanging out on your beachside patio, firing up the grill in your own backyard, or floating down the river with a drink in hand. Enjoy! Elin Hilderbrand. 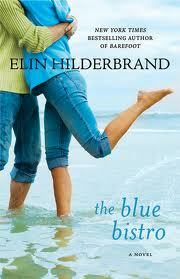 If you haven’t read one of Elin’s books, you must. She’s a smart writer that develops really memorable characters and paints an amazing canvas for her usual Nantucket setting. My absolute favorites are The Blue Bistro and The Beach Club, which even feature some overlapping characters and work great as a pair. The Blue Bistro especially stuck with me for a while due to brilliant characters and some really fantastic plot twists to keep you reading (also a must if you’ve ever worked in the restaurant industry – a lot of the drama will ring true!). I’ve read several others from Elin, and they all consistently entertain and transport to the beautiful beaches of Nantucket. Kristin Hannah. Another consistent author – pick up any of her novels and you know exactly what you will get. In this case, knowing what you get is a good thing, since her stories are well-developed, usually complex, and often span over decades while maturing and progressing characters. All in all, reading a Kristin Hannah book is almost always a rewarding experience, especially in the way of character-driven plots. My top picks from her are definitely Firefly Lane (my favorite) followed by True Colors and The Things We Do for Love (awful title, great book). 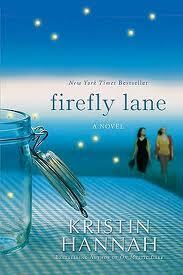 Good “chick-lit” without (too much) of the cheese. 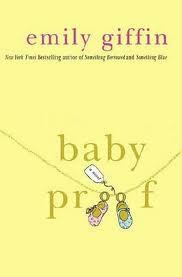 Emily Giffin. One of my writing goals is to create a plot that moves as swiftly and absorbs as completely as Emily’s books do. She is amazing at creating relatable characters (that overlap and connect in inventive ways throughout all her books) and situations and then moving the plot along to a point that a reader has to obsessively keep reading (really – you cannot put her books down). Emily also has great urban settings (NYC, Atlanta, Boston) and a sharp and detailed sense of place that always proves to capture my imagination. My favorites from her are Something Blue, Baby Proof and Love the One You’re With. Most people will tell you to read Something Borrowed first, which is chronologically correct, but I loved Something Blue so much more, so if you start with Borrowed, move right to Blue and read them as a set. Let me offer this to you as a warning: if you start this author’s books, you will probably read all of them in a row. They are that much perfect guilty-pleasure fun. (Side note – I borrowed several of Emily’s books from a friend and downloaded the rest to my Kindle, so sadly, I don’t have any paperback copies for pictures or my bookcase. I guess I’ll just have to grab her hardback debuting on July 24th – Where We Belong). Truly, you can’t go wrong with any of these authors’ novels for some light yet involving summer fun. I’ll pick up all those literary classics when the weather turns cooler and I have switched back into my sweater-wearing, scholarly teacher mode, but for now, give me some juicy drama, colorful coastal settings, and richly drawn, relatable characters to enjoy in this crazy hot, fun summer heat. 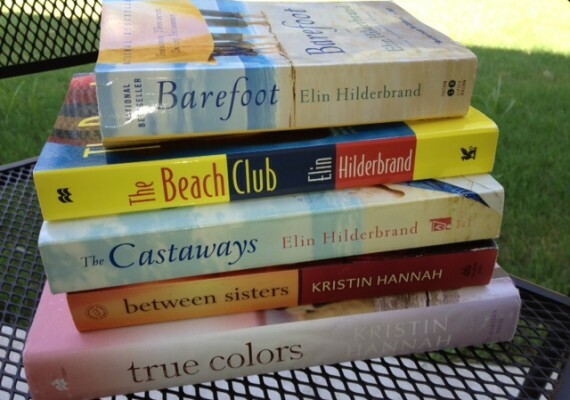 Now you tell me – what’s your favorite book or author to read during the summer?